Seal the ends to prevent checking in freshly cut green lumber. 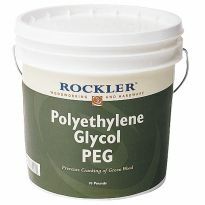 Recommended for sealing the ends of freshly cut green lumber to control checking and splitting. Prevents rapid or uneven moisture loss during seasoning. Specially formulated for use in cold weather. Apply with a brush, swab or pressure sprayer. One gallon covers approximately 100 square feet. It is working great. I am using it on a tree cookie and no spliting yet. 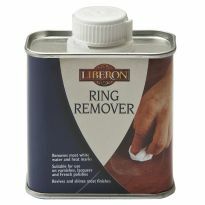 Use it on rough out green wood turnings to reduce cracking. Works great. Minimizes losses in my bowl blanks. 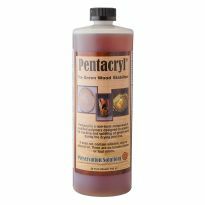 Based on other woodworkers/hobbyists, their recommendations and advice led me to this product. Also advised brushing the sawdust off prior to brushing or rolling 2 coats on the lumber ends. We'll see how well it does in several months (compared to 2 other products I put on several maple logs, all from the same tree) milled the same day as Rocklers End Sealer rolling and brushing onto, above and below edges, as well into the crotch pieces. Will update ratings in the future. when applied liberally it created a solid end grain seal about 2 dozen bowl blanks I had cut down. No more 45.00 a gallon Anchorseal2 for me. This product works great. It is half the price of anchorseal 2. This will always be my go to sealer in the future. I was getting so used to buying the Anchorseal that now when I purchase from Rockler sealer, I purchase 2 gallons at a time due to that is what I was paying for one of anchorseal. This product seems to work very well so far. I use it to seal the ends of logs. I've used about half of the gallon so far and was hoping it would go a little further than it does. I had used latex paint in the past and this product works far better than paint did. I have a cross section of a large stump that I'm hoping to use for a table top. I applied a couple of coatings of this product to both sides of the wood. So far so good. I'm new to this and as you can see I bought the smaller bottle and applied using brush on the freshly cut ends on all ten of them while I wait for them to dry and eventually make them into cutting boards and or to turn them into bowls. Each one of these averages in 1' 2" to 1' 5" in diameter and I still have some left over. I notices some sap coming through later in the day and I brushed more on them. Easy clean as instructed used hot water only to clean my brush. So far so good. Thanks to one of the Rockler sales rep. who introduced me to this stuff. I am definitely going to buy more of this stuff. See the photo I attached. Great for sealing fresh cut turning blanks. So far so good......not a single crack in about 250 bdft of hackberry slabs and its already been two weeks. 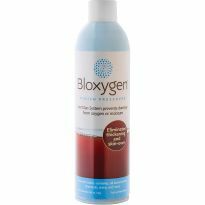 I've used this product for quite a while.I have no complaints, i think the best quality is the quick soap and water clean up! I've been using this end sealer for years. It's perfect for sealing the ends of green lumber. Cleans up easily with water. Good product! Does what it's designed to do. Had 3 trees taken down and milled into lumber. This product is great, easy to apply and clean up. I fully expect my boards to have no end-checking after they dry out. Have not had any checking on apple, cherry, lilac, walnut, maple. some of this wood has been stored for over 2 years! Applied right away in one or two thick coats. as noted by others, cleanup was quick and easy. Coverage was more than I expected, especially with the thick coats. I finally had to order more! 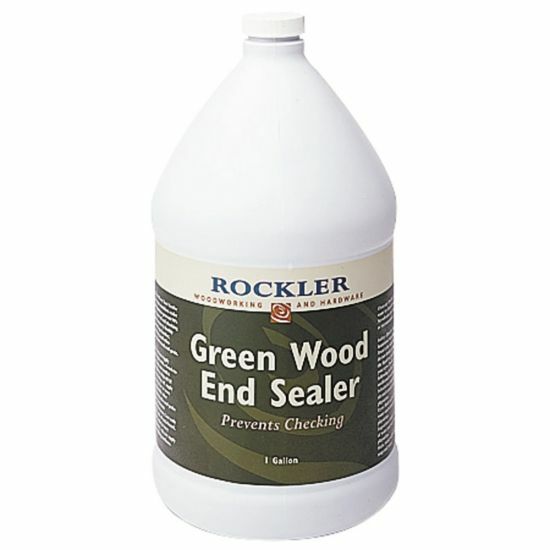 Rockler's brand of Green End Wood Sealer is amazing. It looks just like milk but drys to a clear wax coating. I was using latex paint like some of the wood words recommend. It still cracks! No cracking so far. I have always used Rockler Green Wood end sealer or Anchorseal to seal the ends of my wood. It will seal the wood from cracking until you are ready to use it. Another advantage is, I believe it keeps bugs out of the wood. I don't know this as fact, but it just seems so. The wood I bring in is not only crack free but bug free. I don't know if Rockler's product is the same as Anchorseal but it performs exactly the same. Excellent. 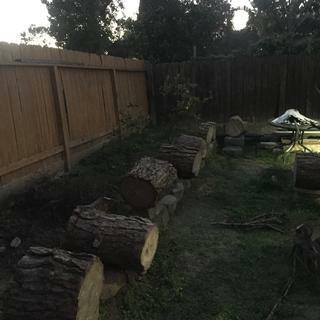 Being new at this I had a chance to salvage to large oak trees from a neighbor. Cut some slices to make cheese boards and before I could work them they began to split. Talked to folks at Rockler and bought the sealer, seems to be doing the job. 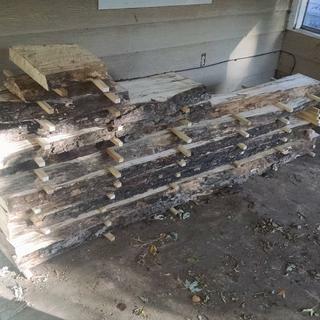 Put all that wood in storage till next summer. I didn't know I needed it till I needed it. Works very well on green wood. Seems to work well to seal green wood end grain while waiting for wood to dry. Have used Green Wood End Sealer on sections cut from apricot and apple trees. The pieces will be kept under cover for later use. Application was simple, fast, and covered well. Clean up was easy. After using the entire gallon on a variety of freshly cut wood I can say this product is slightly better than using nothing. Everything I put it on checked either moderately or severely. I've used it before. It is reasonably priced and work great. I've never bought any, seen an anchorseal ad, then after reading reviews I want this one! This is the best end sealer we have found. Recommended by a friend to prevent end checking on rough sawn lumber from my mill. To seal ends of treated wood that I cut. Need to seal some wood I have for turning. I just thought I'd try your brand since I was ordering other items. I have started turning wood. I am cutting the wood from trees on my property and have already lost some wood due to cracking so I am going to give your sealer a try. I needed some sealer and this is what they had. Need to seal the ends of green logs from a tree I'm removing. It seems to be a viable alternative to Anchor Seal. Your price was reasonable and I like doing business with you. I've been pleased with all my past transactions with you! Planing to cut some cherry logs for woodworking. Need to seal the ends of some what I consider to be valuable pecan logs. Although most were not large, there are a number of projects that I already have in mind. To seal the ends of green wood. First time I have tried this brand but am very pleased with its performance so far . I'm getting some free wet wood and want it to dry without checking. will this product be a good choice for a tree slab recently cut that will become a table top? How difficult is it to remove in one years time? BEST ANSWER: The sealer is easy to remove but it will not stop all checking. It helps but depending on the size and thickness, you will have to remove cracks near the ends of the wood after a year. You can try sealing the ends and then place wood in plastic to slow drying and minimize cracks, but then a year may not be long enough. I have used it recently to cover some fresh cut logs and burls. It went on easy and seems to do a good job keeping the wood from checking and cracking. It still needs to cure so I haven't taken it off yet. 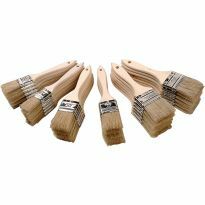 works very good on wood 3/4 to 1in thick ,for a wood turner that's good. BEST ANSWER: I can confirm that I've had my gallon bottle for about two years. I used some last week and noticed that it is starting to get somewhat thicker in consistency. The bottle has about 1/4 gallon left in it. This is a good product and really helps retard the end grain splitting. Worked great on Walnut, Maple and Cherry, but not as effective on Pin Oak. I am sure moisture content of the wood had something to do with it. Put it on immediately after cutting the wood. I have used it two years after purchase and it is fine. Do you seal only the ends or any cut surface of the log, i.e., if the log is cut vertically in half do you need to seal the exposed cut? BEST ANSWER: I seal the endgrain and then bring the sealer over the ends a couple inches on the fresh cut parts. On some woods that check in the center I brush it down the center. Fruit woods, Holly and Madrone I cover all cut sections especially if I know I won't be getting to it for a while. Will this work on fence boards. I have a board on board fence and the boards soak up the rain from what's trapped by the 1" keeper trim? Not sure how long it would last outdoors year round. Polyurethane might be better and likely less expensive. What is the recommended temperature range for application? BEST ANSWER: Can't give this an answer from a lot of experience.... I've used some as late as two weeks ago and expect it to work... this basically puts a latex coating over the end grain of the wood... as long as it gets to dry it should seal... I wouldn't expose it to rain before it drys onto the wood... sorry I can't give you a definite answer. I’ve applied end sealer from the mid 80’s to the 40’s with good adhesion. The SDS for this product brings up the SDS for Anchor Seal. So is this product a dilute version of Anchor Seal? BEST ANSWER: It appears to be Anchor Seal, works like Anchor Seal, and does not appear to be diluted. Fine product. I would purchase again. After I use this product can I sand and shape the wood or do I apply after sanding and shaping? You apply this product before you sand and shape. You apply the product to the end grain as soon as possible. Would you recommend an end dealer or pentacryl for round cookies?